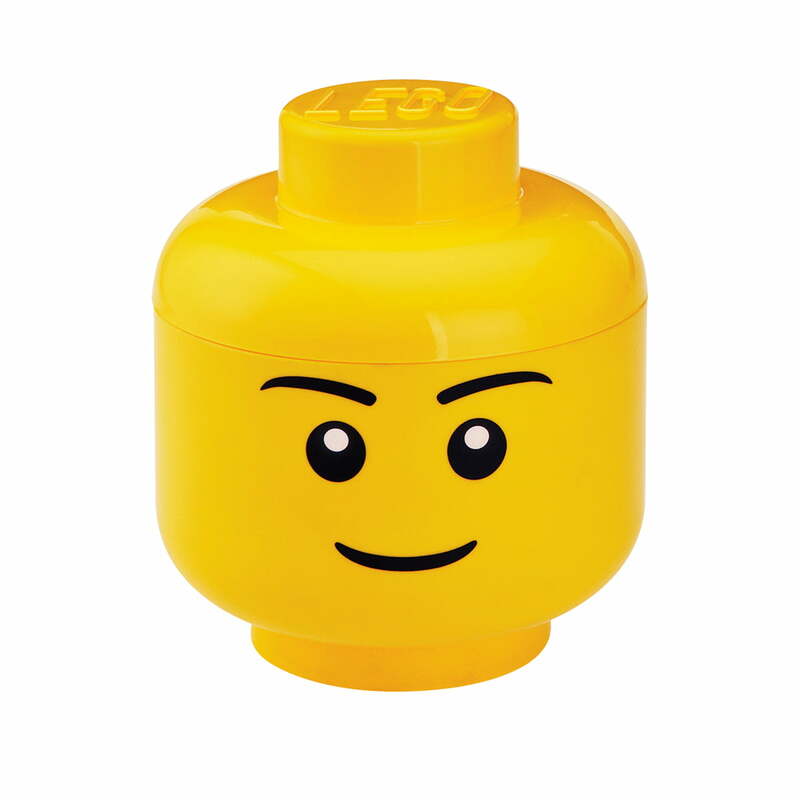 The Storage head by Lego appears in the popular Lego design. Nearly every child knows the figure's head. 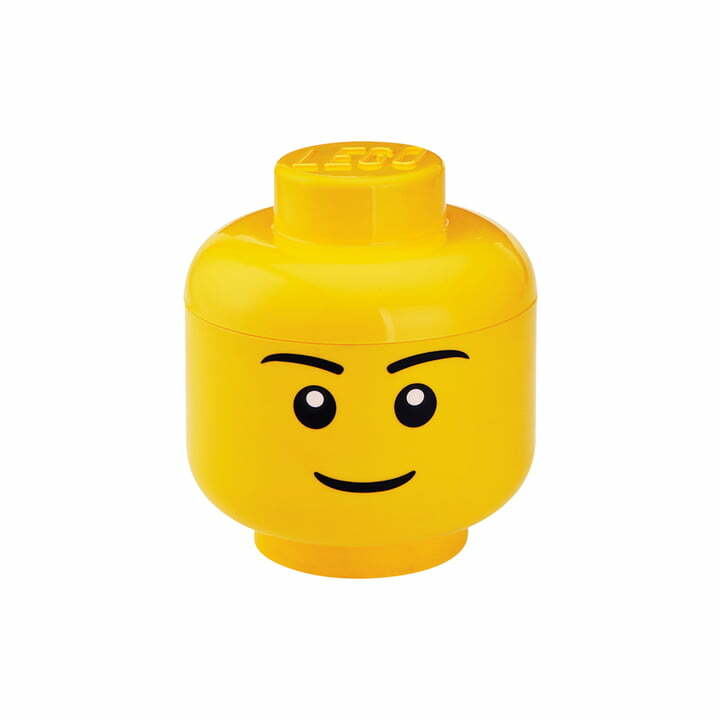 To use the head as a storage box might delight both equally: kids and adult fans of the “cult bricks”. 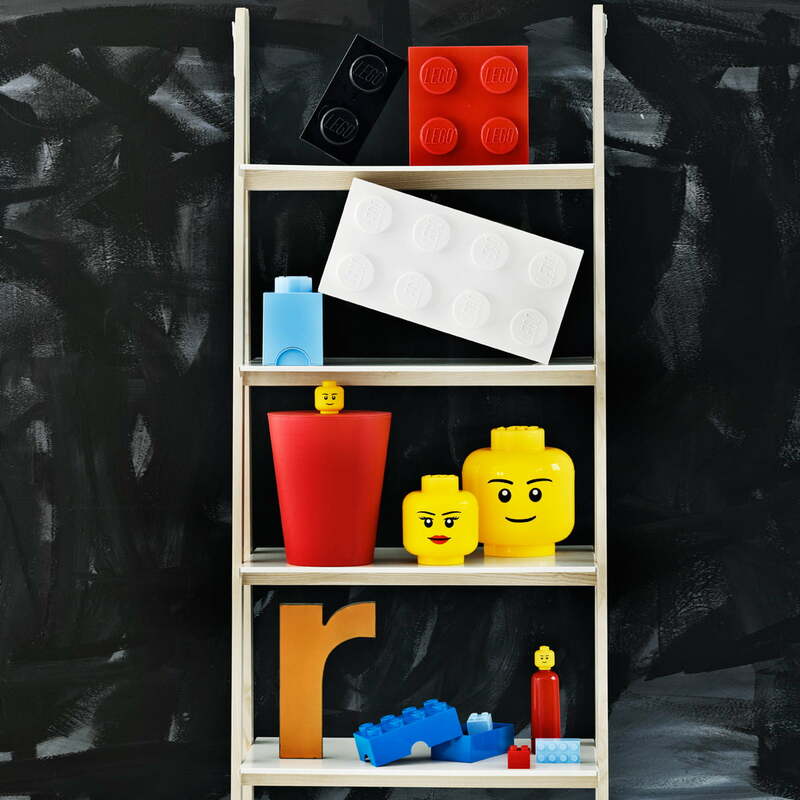 There might not be a better place to store things colorful and it even looks gorgeous on the living room’s shelf – since it raises childhood memories and offers a wonderful place to keep things tidy. The Storage Head boxes also are great kitchen-tools boxes that are easy to clean thanks to their plastic material. The functionality of the Lego bricks, which belong to the most famous toys of the world, remained unchanged in this larger format. This is how the Storage Head is naturally also combinable with other sizes of the Lego storage boxes. Storage Head is available in two sizes (Small & large), as well as in a female and a male edition (Girl & Boy). Isolated product image: Nearly every child knows the figure's head. To use the head as a storage box might delight both equally: kids and adult fans of the "cult bricks".